Here are a few floral packages I have put together. These are just as they say, if want extra things added to them it will be extra! 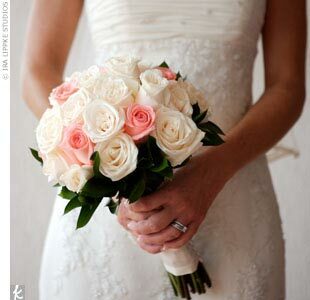 Bridal Bouquet – Handtied bouquet with 30 roses and greenery. Attendant Bouquets – 3 Handtied bouquets with 12 roses each. Flower Girl Posey – Small handtied bouquet with 6 roses, suitable for flower girl or toss bouquet. Corsages – 2 Mothers corsages made of roses. 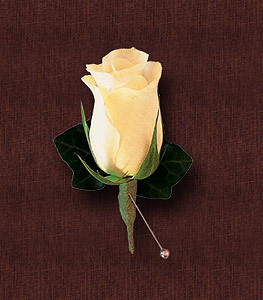 Boutonnieres – 5 rose boutonnieres for the groom, father, father-in-law, best man and ring bearer. Additional Attendant – $39.99 ea. Bridal Bouquet – Bouquet made up with 15 gerbera daisies. Attendant Bouquets – 2 Bouquets with 5gerbera daisies. Flower Girl – Bouquet of 5 gerbera daisies, suitable for flower girl or toss bouquet. Mother’s Bouquet – 2 handtied bouquets of 3 stems of gerbera daisies. Boutonnieres – 5 mini gerbera boutonnieres. Bridal Bouquet – 30 stem mini bouquet or 10 stem large bouquet. Attendant Bouquets – 2 Bouquets with 10 stems mini or 5 stems large each. Boutonnieres – 5 mini calla lily boutonnieres for the groom, father, father-in-law, best man and ring bearer. Choose from a variety of seasonal colors. If you have more bridesmaids or groomsmen or if you need to add on mothers Corsages or fathers bouts. no problem, I can add those in also. Just contact for pricing. Also I can add some different flowers to these, contact me for pricing.